One thing I often get asked is how to start a profitable blog. If you want to be a blogger who makes money, you should have a media kit. Media kits can be expensive if you get one custom designed, so if you are looking for something premade, I have the perfect free media kit template just for you! Micro-influencers are growing in popularity and companies and brands are vying to work with them. Think you need thousands of followers to be able to work with brands? Not anymore! In fact, micro influencers and bloggers are said to be better to work with than the big-guys. It’s important that you have your media kit ready to go so that you can approach brands and be ready when they approach you. How to Start a Profitable Blog: This in-depth post will help you start your blog on the right foot including my recommendation for the best hosting company. 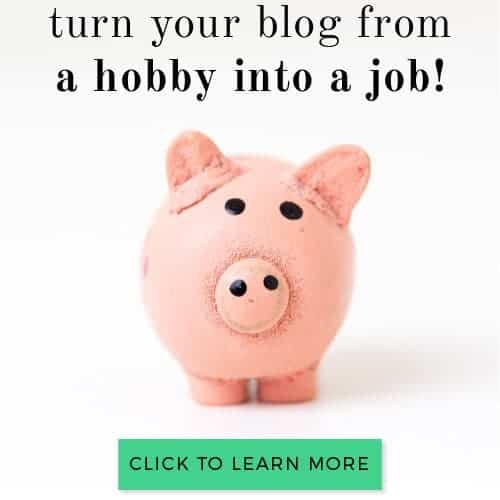 How to Write a Profitable Affiliate Blog Post: Grab your free affiliate workbook and learn my “not-so-secret” methods to writing blog posts that convert! How to Grow A Profitable Blog While Working Full-Time: You don’t need to quit your job to maintain a profitable blog but you do need to know the right strategies to help you get there (eventually)! Ways to Make Passive Income Blogging: I started earning anywhere from $100-$500 a month in passive income after applying these strategies. How to Use Keyword Research to Make Money Blogging: The best way to make money blogging is by targeting your audience when they are in “buy-mode”. I’m teaching you exactly how to do that! A media kit is essentially a resume for you, your blog and your social platforms. 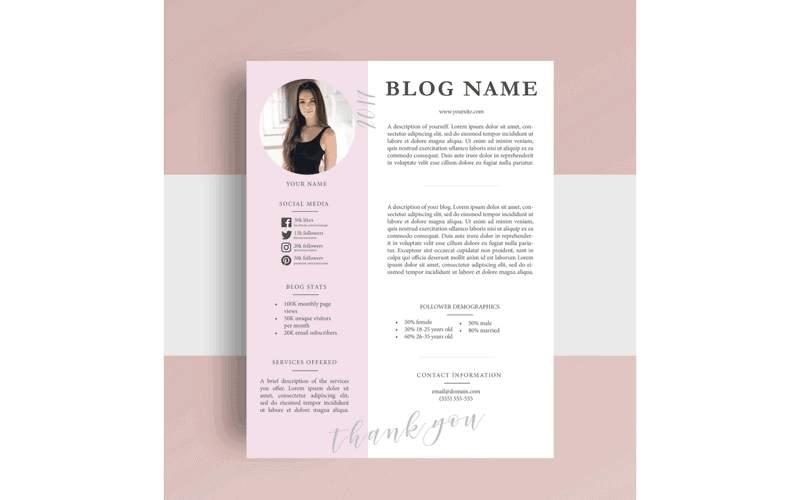 As a blogger, if you are serious about working with brands you will want to have a professional-looking media kit that outlines some key areas, in order to increase the potential that brands will want to work with you! Let me tell you a quick story. Before I really got going with Dana Nicole Designs, I was blogging more about travel and less about business. 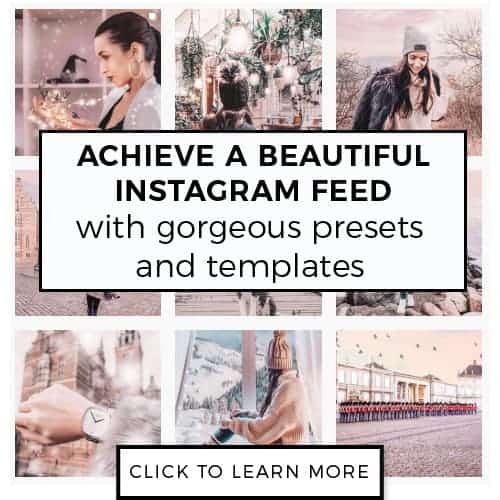 I had a small Instagram following of roughly 1,000 followers, and even smaller traffic to my blog, but I had good engagement on my social media and was able to prove my worth through my media kit. Even with my small following, I was able to secure partnerships, including a trip to Scotland with accommodation and excursions all paid for! Unfortunately, I landed in the hospital a week before I was supposed to leave for my trip and had to cancel (le sigh). A media kit is only one of the tools you can use to brand yourself. If you’d like to learn more on branding, take a look at my very in-depth guide to DIY branding. Pictured is the free media kit template you’ll get. Please note that above where it says “2017” it has been replaced with “2018”. Within your media kit, you will want to include as many relevant stats as possible that give the reader an overall picture of your blog (without having to actually visit your blog). PR representatives get hundreds (maybe even thousands) of emails every week, so if you are pitching yourself to a company or brand, you will want to make sure that the information you are providing represents a snapshot of your blog. 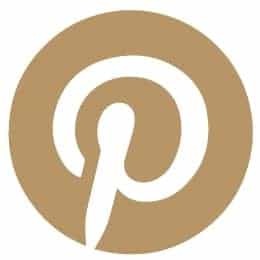 (pssst – the template I have designed for download includes all the important information that you need as a blogger to secure partnerships. Feel free to rearrange the sections or add your own in, however!). Include a description of yourself as a blogger as well as your blog. In my media kit template, I have room for you to include a very thorough description of your blog! Talk about what the focus of your blog is and how your users find it useful. Talk a little bit about your blog demographics and the psychographics of your users (if you know them). Companies LOVE data and being able to be shown how your blog will provide them with a good ROI (aka return on investment). Also, talk a bit about yourself and really show off your personality. The description is a great place to mention who you have worked with in the past to prove you are a true professional i.e. 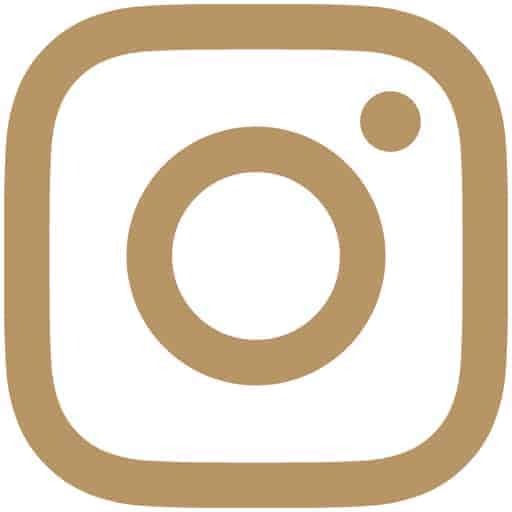 “I did a campaign on Instagram with BRAND X which generated 500 new followers for the company over the course of 2 days. These 500 followers translated into 100 new leads.” (if you haven’t worked with anybody yet, no big deal, you’ll get there and everybody starts somewhere)! Take some of your statistics from your blog or your Instagram (or any of your main social platforms) and include them as well. Things to consider adding is traffic, CTR, page views, daily users, Instagram interaction rate, follower numbers and total number of email subscribers. This is one of the most important parts of your media kit. Originally coming from a marketing background, I know how much companies love to see demographics. I’ve had people pitch me for collaborations and I can’t tell you how important it is to make sure your demographics line up with the brand you are pitching. When I get a media kit for a request to collaborate, I am not interested if the person has 30,000 followers at first. The first thing I want to know is who are their followers? If their followers are luxury travelers, I don’t want to collaborate, because I’m not in the travel niche and there would be no benefit for me. Last but not least, do not forget to include your contact information as well as your social media links and the URL to your blog on your media kit! Below, download my free media kit template! If you downloaded it, I’d appreciate a social share! Don’t forget to take a peek at my e-book on branding. Branding isn’t just for businesses – as a blogger, you must know how to effectively brand yourself in order to stand out! My media kit template was created in InDesign as a PDF, but has been converted to a Microsoft Word document so you will be able to open it up and edit. Sometimes editing a PDF in Word can be a little finicky, so please take a look at this article explaining how to edit PDFs in Microsoft Word. To replace the main bloggers’s photo with a photo of your own, click the photo, right click and select “Change Picture”. Upload your own photo and ta-da! I hope you enjoy your new media kit template!